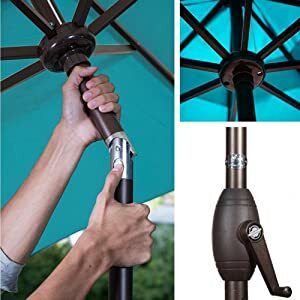 Abba Patio, a top designer and manufacturer of high quality gardening products, from Patio Umbrellas, Canopies, Gazebos, Awnings to Garden Furniture sets, etc. Each piece is sleekly designed, rigorously tested for durability, and assembly instructions have been standardized for simplicity from start to finish. This classic style and reliable craftsmanship will weather ever-changing trends and regular use for years to come. We believe in providing extraordinary value, quality and service. We are committed to you the customer and providing an unmatched customer experience. Here comes the sun! 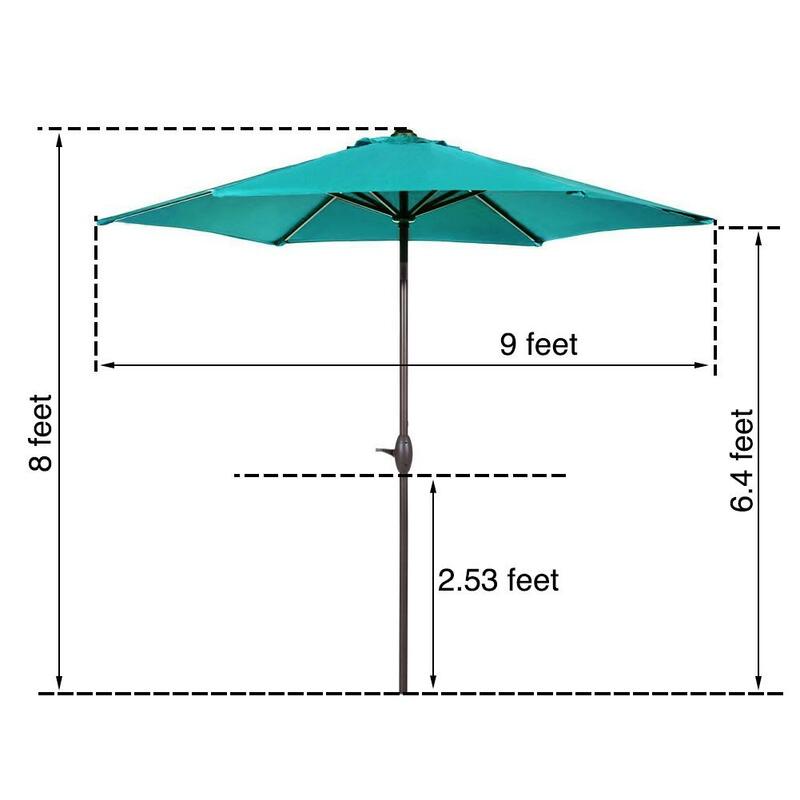 Like a tropical breeze, the 9 ft.Market Patio Umbrella brings a welcome touch of cool to your outdoor space. Keep guests shaded while you lounge and linger under this 9-foot umbrella. Steel ribs support the canopy, so the fabric won't collapse on windy days. The frame is clad in a bronze powder-coat finish that resists rust and corrosion. 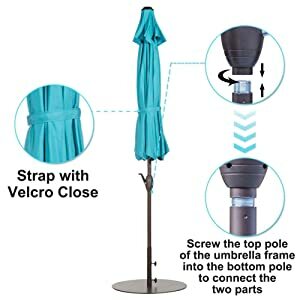 This durable umbrella with tilt can be used either through a table freestanding and supplies enough coverage to shade 42" to 54" tables.